Riley Montessori School kindergarten teacher Jessica Martín helps a student with a block-stacking exercise. Riley is MPS's newest Montessori school and its only bilingual Montessori program. WUWM Education Reporter Emily Files answers a listener question about why Milwaukee has a large collection of public Montessori schools. 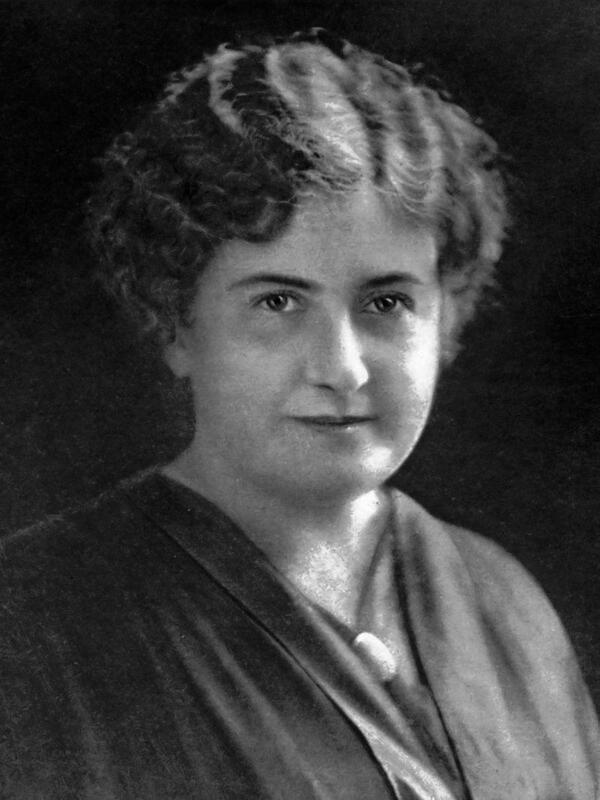 Italian doctor Maria Montessori innovated the new educational approach in the early 1900s. On a recent morning, kindergarteners in Jessica Martín’s classroom worked independently or in pairs on exercises like sounding out letters and stacking wooden blocks by size. Martín moves between children to check on them and at times, guide them through a new activity. “The Montessori way is more independent, it’s structured but not how the traditional system is,” Martín explains. Based on her observations of child development, Italian doctor Maria Montessori created this educational approach in the early 1900s. Montessori classrooms are multi-age and utilize hands-on, sensory activities for self-directed learning. In Martin’s room at Riley School, 6-year-old Ronan Fay concentrates on a wooden board with numbered tiles. “I’m gonna be putting all the numbers in order, like 10, 20, 30, 40, 50,” he explains. Six-year-old Ronan Fay is a student at Riley Montessori School. His mother, Brenda Fay, sent us a Beats Me question about why Milwaukee has such a strong public Montessori presence. Phil Dosmann says Milwaukee does have the largest single-district public Montessori program in the U.S. Dosmann is director of the Wisconsin Montessori Association and a former MPS principal and teacher. The next question is why. Retired Montessori teacher Michele Butz helps answer that. “I believe it happened because of two innovative women, and of course, parents,” Butz says. The two women were Hildegard Solzbacher and Grace Iacolucci. Solzbacher led one of Milwaukee’s first private Montessori schools. She helped spark interest among MPS board members and parents. That’s where Grace Iacolucci comes in. She was an MPS kindergarten specialist who helped launch a few Montessori pilot classrooms for kindergarteners. A federal judge ordered MPS to stop segregating students by race. MacDowell was the first MPS Montessori school. It began as a magnet program to help the district achieve racial integration. To do that, the district relied on voluntary busing to specialty schools. MacDowell Montessori was one of them. It opened in 1976 — the same year as the desegregation order. Former MPS administrator Grace Iacolucci recounted the magnet program in an oral history interview recorded 20 years ago. Phil Dosmann says Milwaukee wasn’t the only city that used magnet Montessori schools to desegregate. “The other public programs back in the late '70s and early '80s were Kansas City, Cincinnati, and Denver,” Dosmann says. In Milwaukee, the Montessori program took root. It was so popular with families that the district gradually expanded its portfolio to eight schools, including one charter school. They are some of the most sought-after programs in the district. Kindergartners (ages 3-6) in Jessica Martín's classroom at Riley School. “Every year there are hundreds of students on the K3 and K4 waitlists that are waiting to get into the Montessori program,” says Maryland Avenue Montessori Principal Joe DiCarlo. Partly because of the great demand, the MPS Board adopted its first Montessori strategic plan last month. It calls for a district-wide Montessori coordinator and funding for teacher training. Principals say finding qualified teachers is one of Milwaukee’s biggest hurdles to grow its Montessori program in the future.